This architecture is similar to scheme #1, except a custom touchscreen HMI is included. 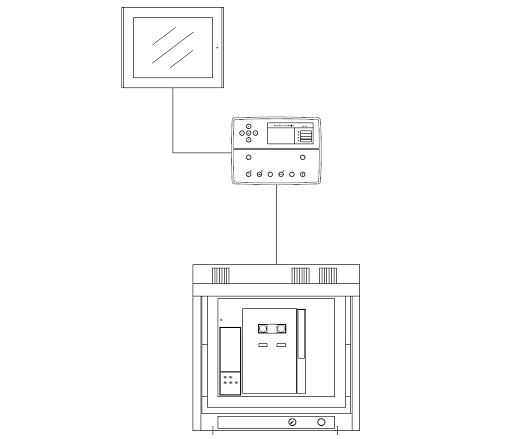 Typically the all-in-one controllers include a communications port that can be interrogated by a separate HMI. LEC adds value in this process by custom programming the HMI to have a friendly, graphical presentation that make operations intuitive and simple. Advantages: Easy, intuitive operation. 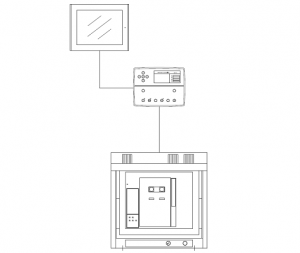 The custom touchscreen HMI adds a built-in webserver that in some cases makes remote operation easier. Disadvantages: A somewhat more expensive design than scheme #1. The design has some limitations – primarily the limitations of the all-in-one controller.